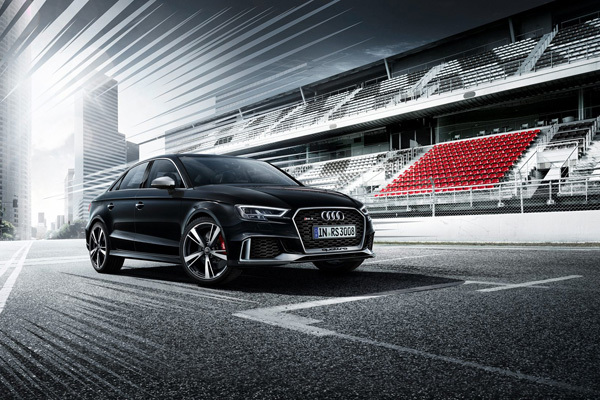 The Audi RS 3 is not your ordinary sedan. Just look at the numbers: a turbocharged 2.5-litre five-cylinder engine with 294 kW (400 PS), a seven-speed S tronic dual-clutch transmission, and permanent quattro four-wheel drive. As Audi says: “Fasten your heartbeat.